Dr. Backhaus supports your health and assists in resolving your health concerns with natural solutions. To suit your particular needs, we offer a variety of options, which may be recommended to you in combination for your greatest benefit. Chiropractic medicine is an effective and safe treatment option for neuromusculoskeletal issues. 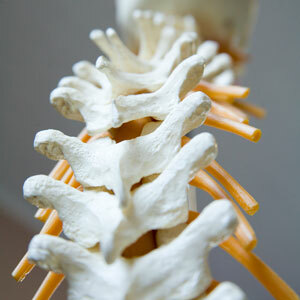 Your body, controlled by the nervous system, can become restricted from spinal restriction. With comprehensive diagnostic training, Dr. Backhaus can locate any areas of restriction and correct them through joint manipulation or mobilization. Dating back over 4,000 years, acupuncture has shown a variety of benefits to people seeking help for an array of different problems. Dr. Backhaus combines the ideas of musculoskeletal and traditional acupuncture depending upon your condition or desired outcomes. Auricular therapy is also available. As a Corrective Exercise Specialist certified through the National Academy of Sports Medicine, Dr. Backhaus employs a variety of physical therapy techniques in his care. The majority of our chiropractic patients benefit from having physical therapy added to their treatment plan. As an addition to your treatment plan, the use of manual therapy and additional myofascial methods can give excellent results. These options reduce tension and pain, speed recovery times, promote circulation, increase athletic performance and enhance flexibility or range of motion. 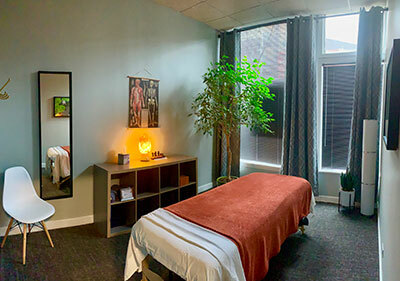 Though massage therapy leaves you feeling incredible, it also offers a range of therapeutic benefits to those experiencing many forms of pain or discomfort. Available on-site at our office, it can give your healing a boost, especially when used in conjunction with other services. Facial rejuvenation with cosmetic acupuncture can enhance your appearance and overall health. It’s a safe and effective alternative to facial fillers and more invasive procedures. By stimulating blood flow to the face, you can produce a considerable amount of collagen and elastin to obtain a more youthful look. Schedule your appointment at our Lakeview practice today. We’re pleased to offer complimentary consultations.